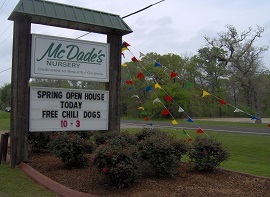 "Nice to shop at the Nursery and will continue to do so"
Mark your calendars for the 2019 McDade's Spring Open House: Friday March 15 - Sunday March 17. Save 10% Nursery-wide. We'll be serving our 'Lake-Famous' Chilli Dogs from 10 -3 every day. Plus door prizes. Looking for a gift item for a gardener? 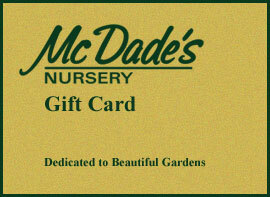 McDade's Nursery offers gift cards. Gift cards are available in $10, $25 or $50 or larger amounts. Get the useful McDade's Nursery newsletter direct to your inbox. Don't worry, we promise not to spam you and we won't give your details to anyone else. 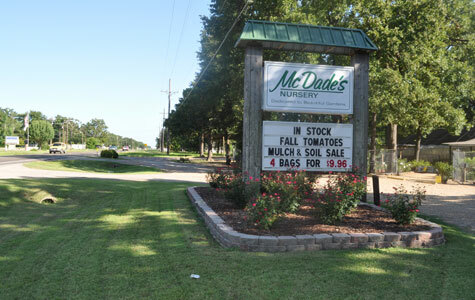 McDade's Nursery is the premier full service nursery serving customers in Cedar Creek Lake and North East Texas. It's a destination garden center for gardeners from Dallas/Fort Worth, Tyler, Canton, Athens, Corsicana, Kaufman, Ennis, Mabank, Malakoff and beyond. We are conveniently located on Highway 274 in the city of Tool, TX on Cedar Creek Lake. McDade's has been voted the BEST nursery in the Cedar Creek Lake area in a 2015 reader's choice survey conducted by The Monitor newspaper. 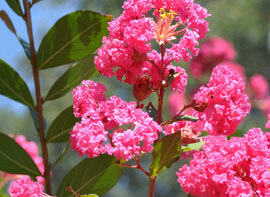 We provide quality plants at affordable prices. The nursery carries a full range of herbs, annuals, perennials, vegetables, ground covers, hanging baskets, trees, shrubs, pots, planters, and garden gifts. In addition, we stock soils, compost, mulch, insecticides, fungicides, animal repellants, weed controls, organics, plant food and our own McDade's Lawn Fertilizer specifically formulated for local soil and turfs. 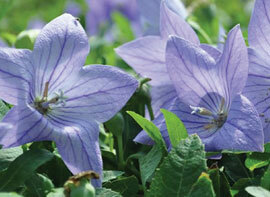 Get the McDade's Nursery newsletter direct to your inbox. Don't worry, we promise not to spam you and we won't give your details to anyone else.